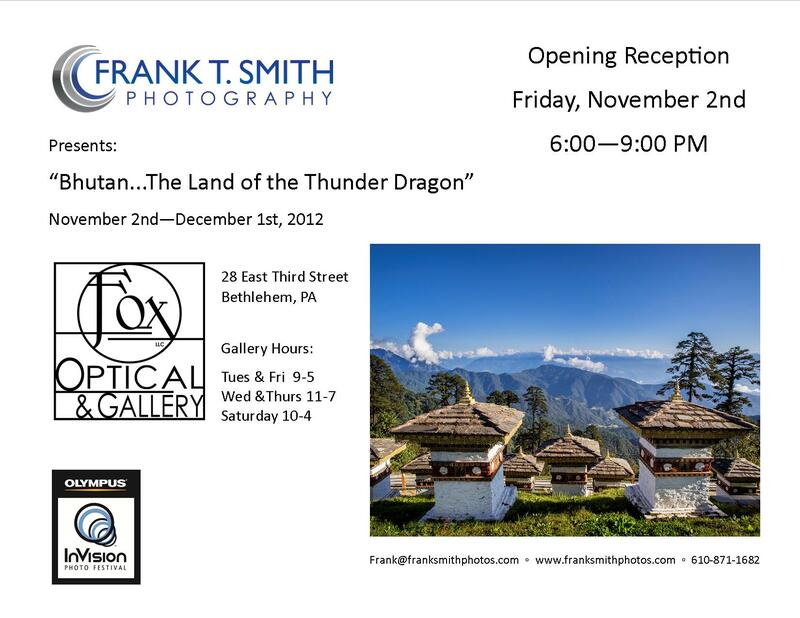 On Friday November 2nd I have an opening at Fox Optical, Bethlehem, PA. The reception runs from 6:00 to 9:00PM. This body of work, includes images from my trip to Bhutan last year. The exhibit runs through December 1st and coincides with the InVision Photo Festival.